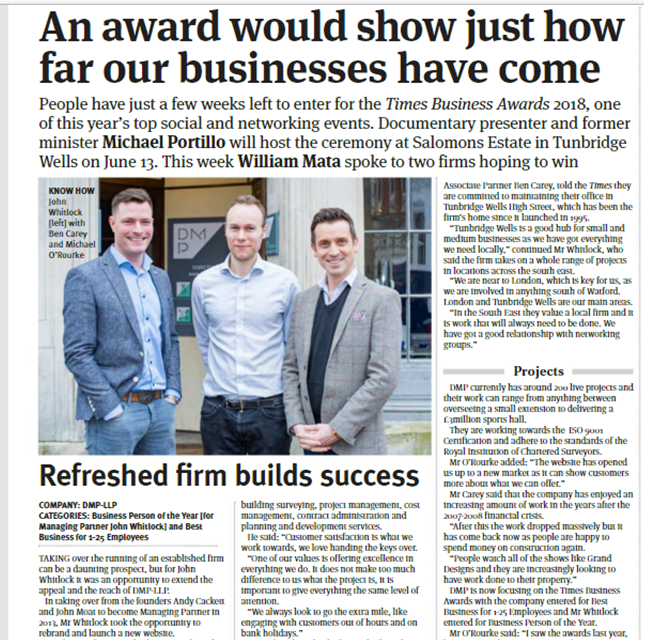 We are excited to announce that following our recent newsfeed we have been shortlisted for the prestigious Tunbridge Wells Times Business Awards. 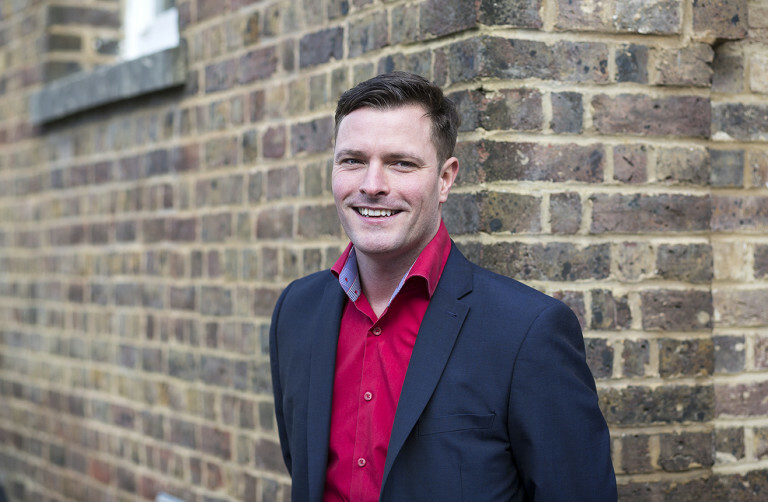 Our very own John Whitlock nominated for "Business Person of the Year". Our category sponsored by Loch Associates Group, with three other companies joining DMP to make the final cut! We would also like to offer our congratulations to the other 49 local companies that have also made the shortlist in some 9 categories. The glittering gala black tie event held at Salomons Estate on Wednesday 13th June. 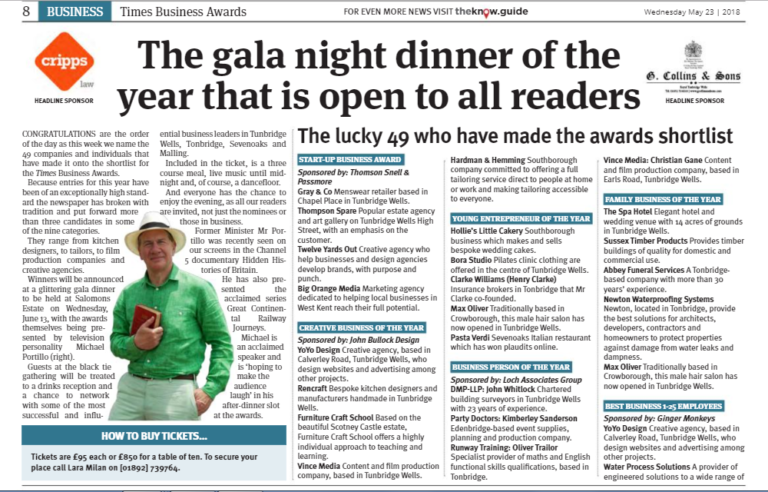 DMP-LLP will be in attendance supporting our extraordinary and inspiring business man John Whitlock with our fingers crossed for a well deserved win! Read the Times article and full list of hopefuls to learn more. Importantly we shall keep you posted on how we got on. Wish us luck!